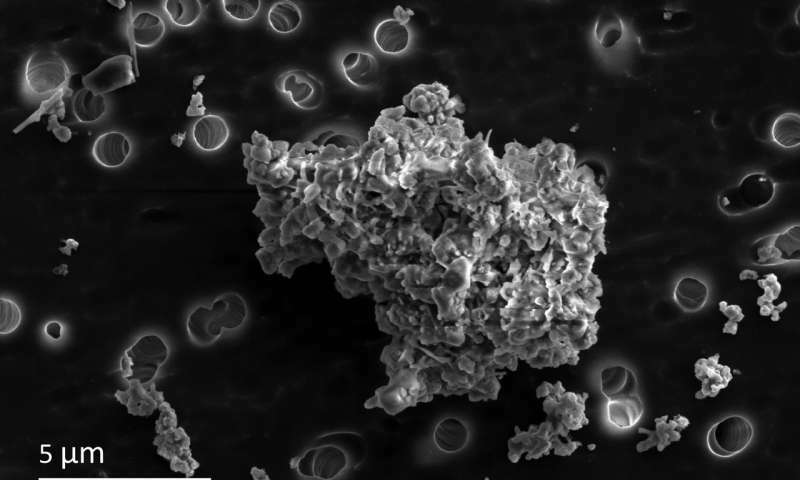 Researchers have discovered an enormous body of interstellar dust that predates the formation of our solar system 4.6 billion years ago. The findings might revolutionize our understanding of how the solar system came to be, as well as all other planetary bodies. It sounds unbelievable, but some of the original interstellar dust that went to form the sun, Earth, and all the other planets in the solar system can be still be found floating around in our neighborhood, even hitting our atmosphere from time to time. Presolar dust particles can no longer be found in the inner solar system, as it was long ago destroyed, reformed, and reaggregated in multiple phases. However, presolar dust can still be found in the outer solar system, specifically in some comets. When these comets pass close enough to the sun, they release presolar dust that can reach Earth’s orbit and settle through the atmosphere, where it can be collected and later studied. Dr. Hope Ishii of the University of Hawai’i at Manoa and her colleagues used electron microscopy to study such dust particles, as well as data gathered from the Cosmic Dust Analyzer (CDA) aboard the Cassini Saturn orbiter during its two-decade mission. The presolar dust particles in question are actually called GEMS – or ‘glass embedded with metal and sulfide’. They’re less than one hundredth the width of a human hair in diameter and contain a variety of carbon known to decompose when exposed to even relatively gentle heating. Ishii and colleagues write that the GEMS likely formed in the interstellar medium due to grain shattering, amorphization, and erosion from supernovae shocks, then later went through subsequent periods of aggregation. Irradiation likely provided enough energy for the amorphous silicates which comprise the dust to absorb small amounts of metal atoms, the authors reported in the journal Proceedings of the National Academy of Sciences. “With repeated cycling in and out of cold molecular clouds, mantled dust and any aggregates were repeatedly and progressively partially destroyed and reformed. Cassini mission data suggest the presence of iron metal in contemporary interstellar dust,” the researchers wrote in their study. This first generation of GEMS aggregated with crystalline grains that were likely transported from the hot inner-solar nebula, creating second-generation aggregates. 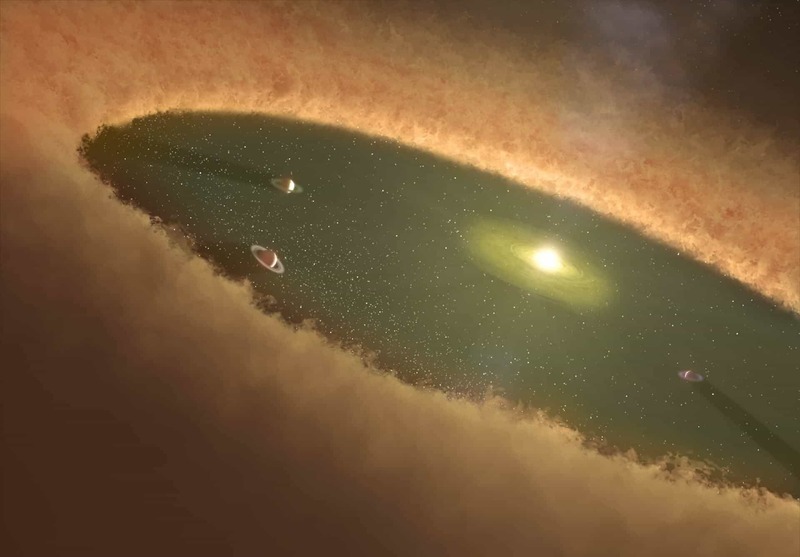 Later this 2nd generation of aggregates was likely incorporated into small, icy cometary bodies. The researchers concluded that the grains they studied represent surviving pre-solar interstellar dust that formed the very building blocks of planets and stars. As such, they provide unique insight into a pre-solar system environment, ultimately telling us how our planet and others like it came to be. We only have a rough picture of how our solar system formed from a huge disk of dust and gas, and these little grains could be the missing pieces that complete the puzzle. In the future, the researchers plan on collecting more comet dust, particularly that sourced from more well-protected comets that pass by the sun.